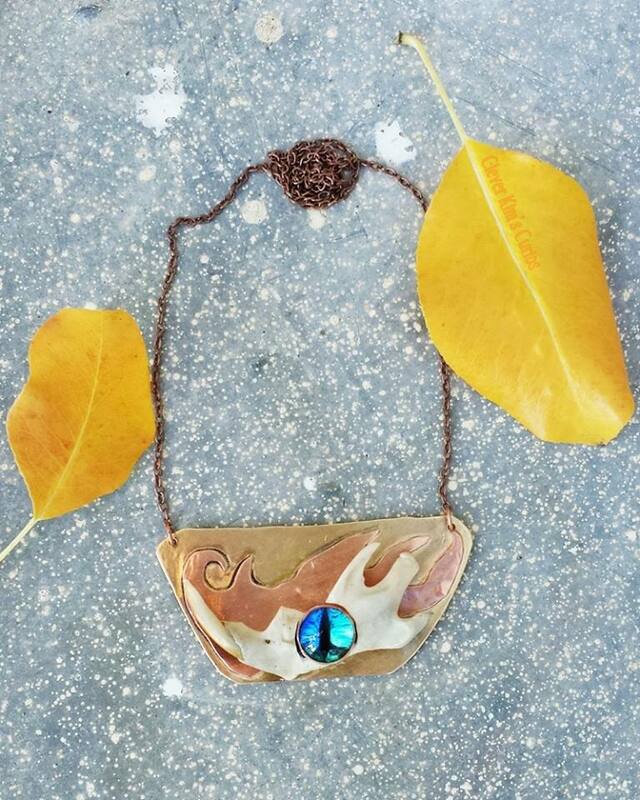 Win this 1 1/2″ x 3″ copper and brass necklace! A bluegreen glass demon eye stares from within a real muskrat jaw. From now until December 10, every purchase from the Clever Kim’s Curios Etsy shop puts you into a drawing to win this necklace.